We are currently renting and wondered if we are able in some way of developing a property to then sell on for profit. During this time we will be living in both properties at the same time (paying council tax on both) as the 'project' is close to work. When a person buys and develops a property in order to sell on at a profit then the profit is subject to income tax - it is deemed to be a trading venture. This applies even if the person lives in the property as their principal private residence at the same time. 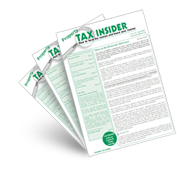 This can be seen on http://www.hmrc.gov.uk/manuals/cgmanual/CG65200.htm. Since it is a trade, Class 4 NI is also applicable.